I wonder if you can create a button (Type: OptionButton) which, when pressed automatically opens Outlook and automatically set the Excel file as mail attachment? 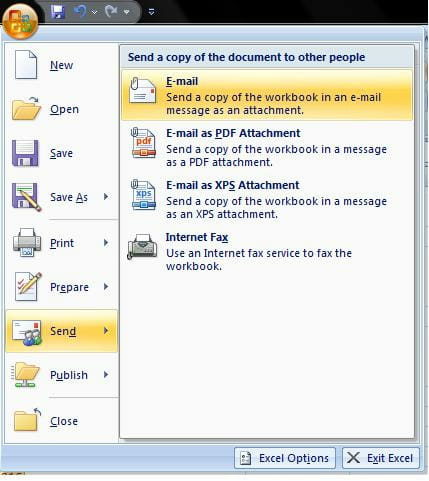 Office programs (Excel in particular) a feature exists to automate the sending of sheets by mail,. This function can be assigned to a button (using a macro). Published by jak58. Latest update on July 3, 2013 at 10:58 AM by jak58. This document, titled "Excel (VBA) - Open Outlook and send a file," is available under the Creative Commons license. Any copy, reuse, or modification of the content should be sufficiently credited to CCM (https://ccm.net/).